Women who consume beer once or twice a week have a significantly lower risk of heart attack, compared with regular drinkers of heavy beer and those who do not drink beer. Researchers at the Sahlgrenska Academy at Göteborg University followed 1,500 middle-aged women in the years 1968-2000, with the aim of investigating the relationship between alcohol intake and the incidence of heart attacks, strokes, diabetes and cancer. The results showed that during the period of follow-up of 32 years, 185 women had a heart attack, 162 have suffered a stroke, 160 developed diabetes and 345 had cancer. Data analysis revealed that women who reported drinking beer once or twice a week for one or two times a month had a 30% lower risk of a heart attack than women who drank beer several times per week / or who never drank beer. 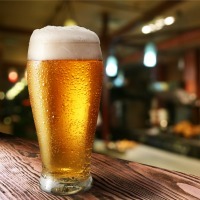 The study suggests that moderate consumption of beer appears to protect women from heart attacks. However, the study also found a strong link between alcohol consumption and cancer risk: women who reported high consumption of alcohol more often than once or twice a month) had almost 50% more likely he died of cancer, compared to those who drank alcohol less frequently.